The #1-selling metal point roller in America is coming out of its shell. It still provides the same smooth-flowing performance that everyone has come to love, but now it's dressed up and ready to go out on the town. With a style appropriate for any occasion and a brand name that's universally respected, you can't go wrong when you choose the uni-ball Micro for your next promotion. • Micro point: Nonrefillable, 0.5mm tungsten carbide ball delivers a 0.3mm line width. 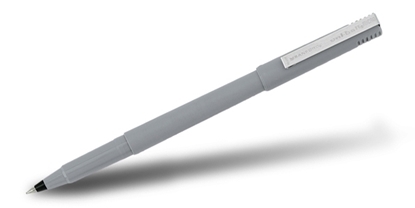 • Fine point: Nonrefillable, 0.7mm tungsten carbide ball delivers a 0.5mm line width.